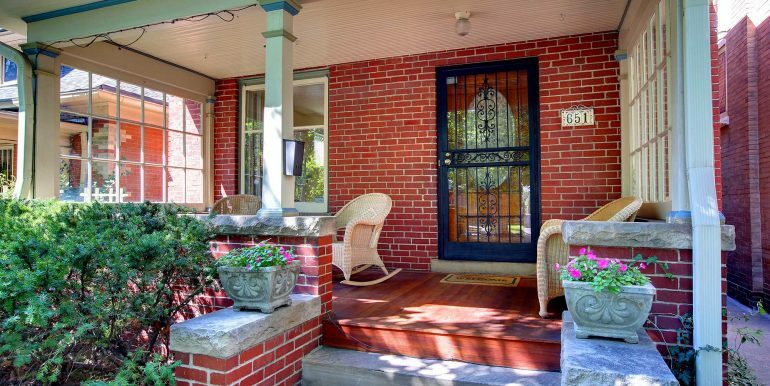 Homes for sale at 7th Ave Historic District – Stunning 3 bedroom, 2 ½ bath two-story brick Victorian home located in the sought after 7th Avenue Historic District! 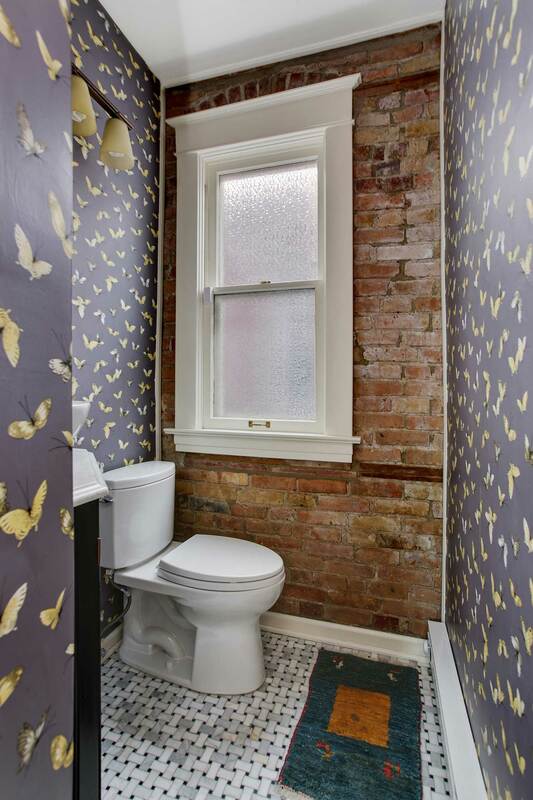 A true gem! 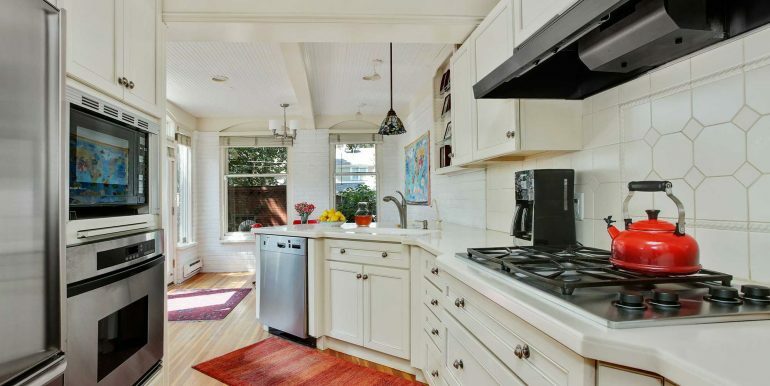 Loads of light and charm. 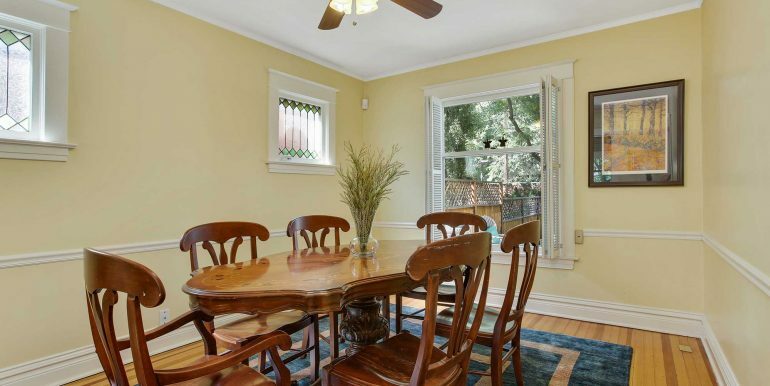 Large sunny rooms! 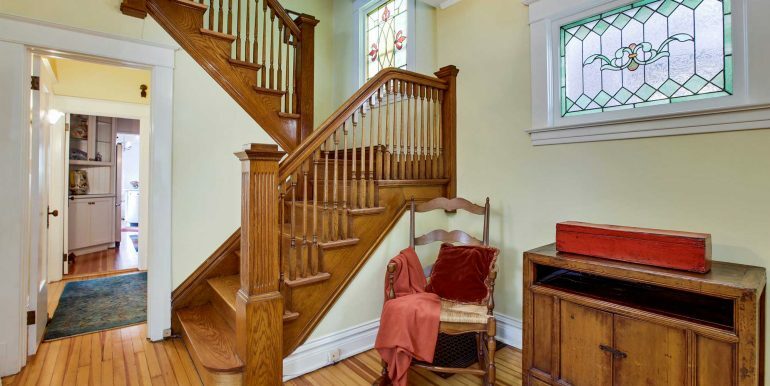 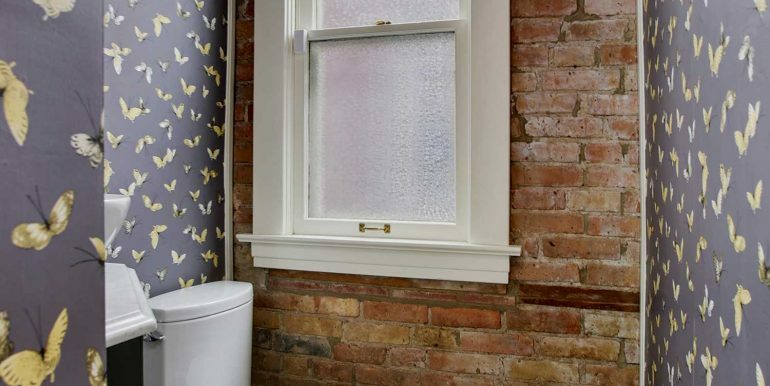 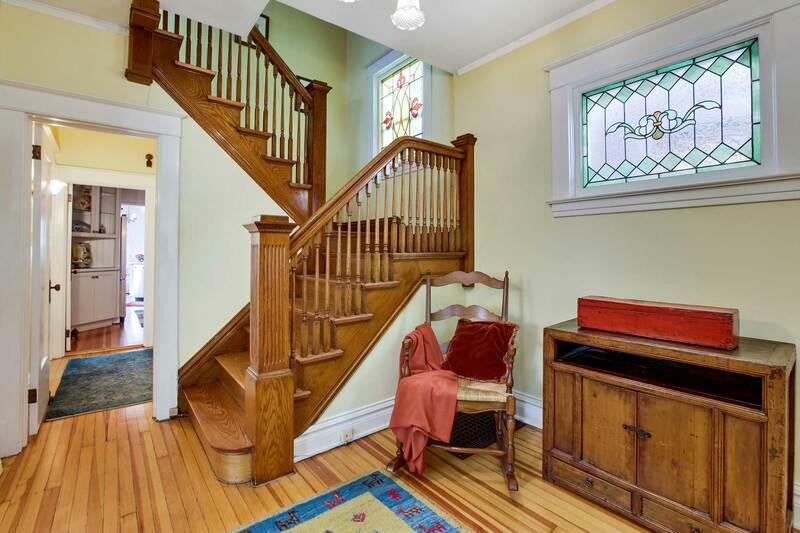 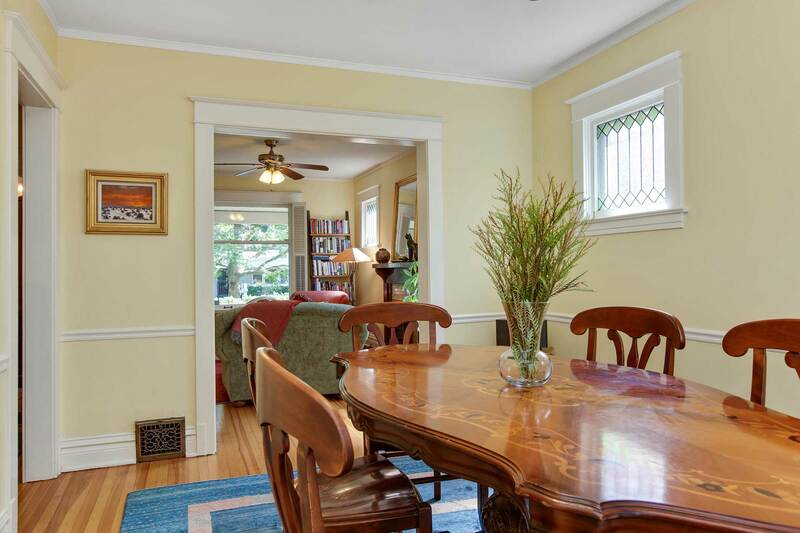 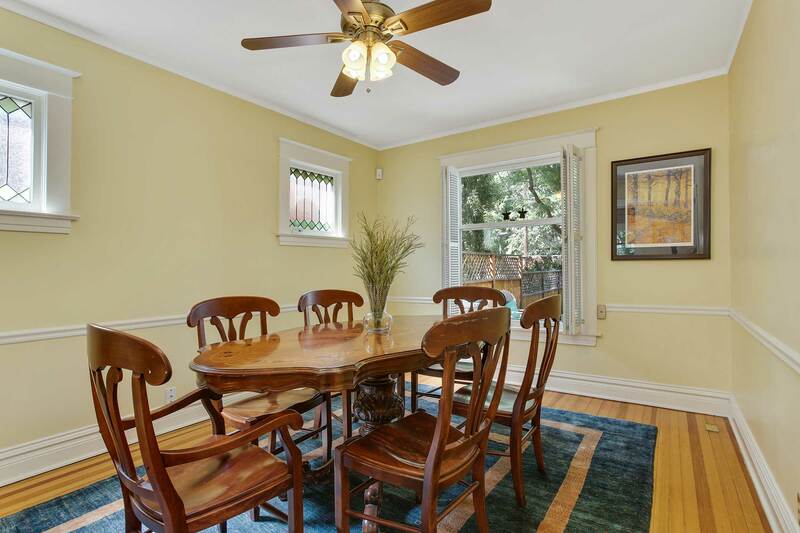 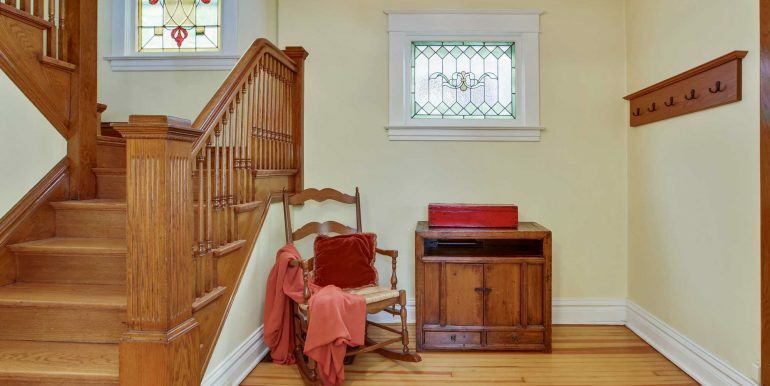 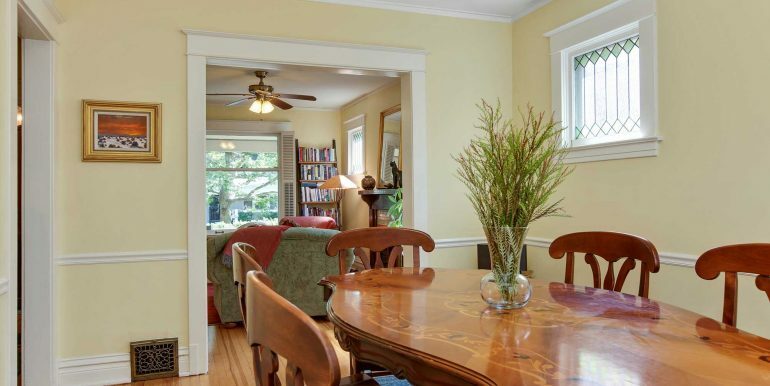 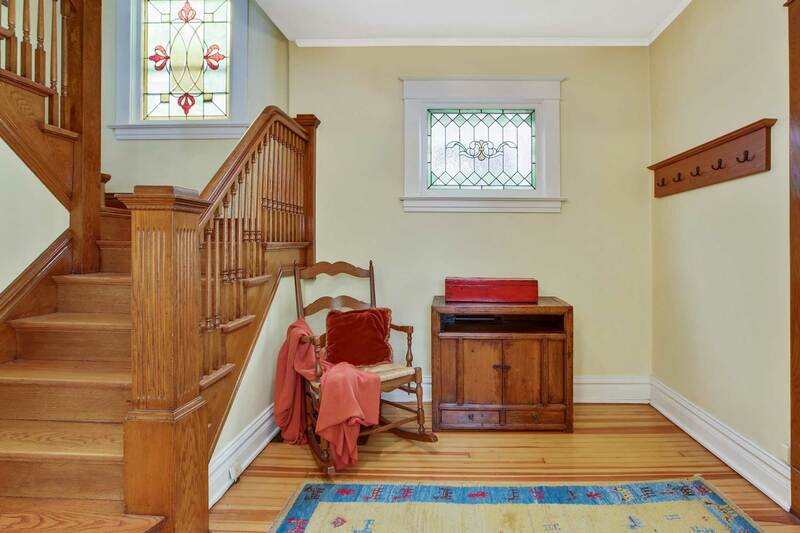 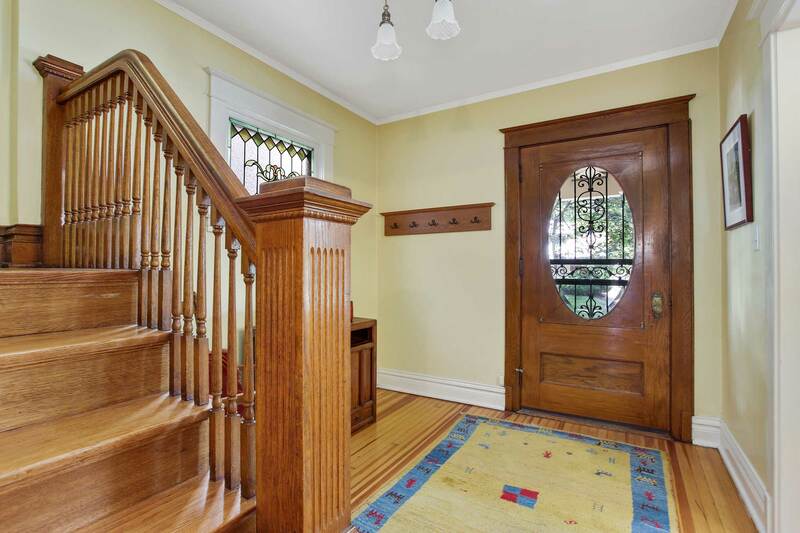 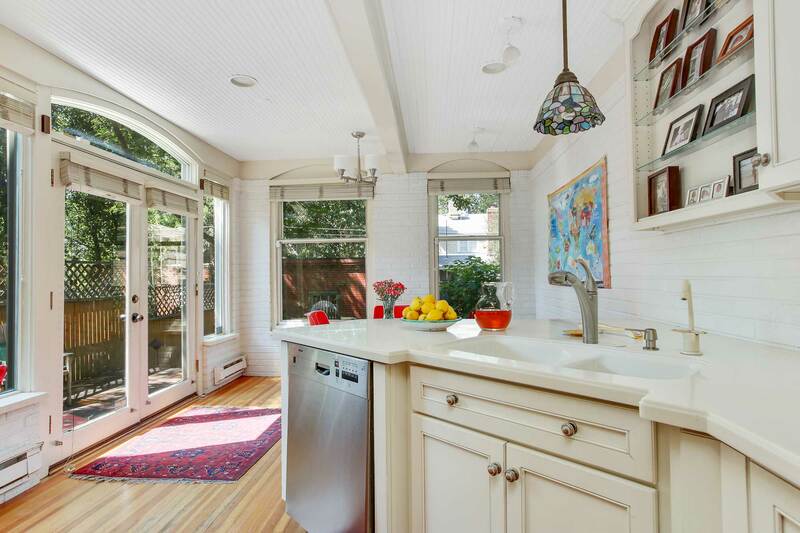 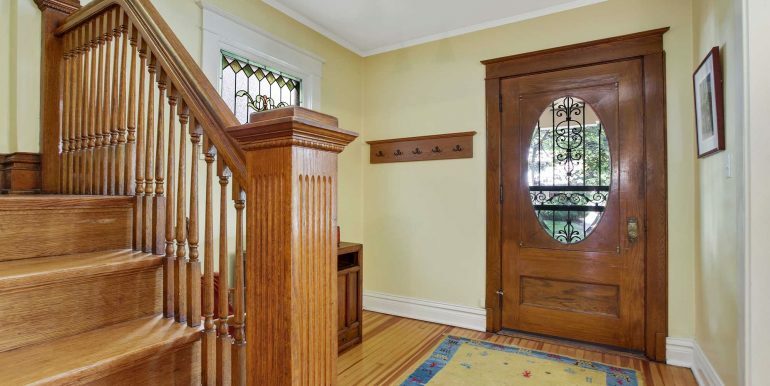 Original woodwork and stained glass windows throughout. 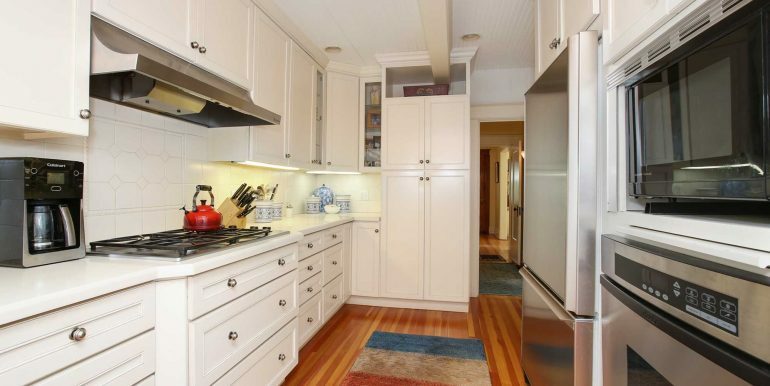 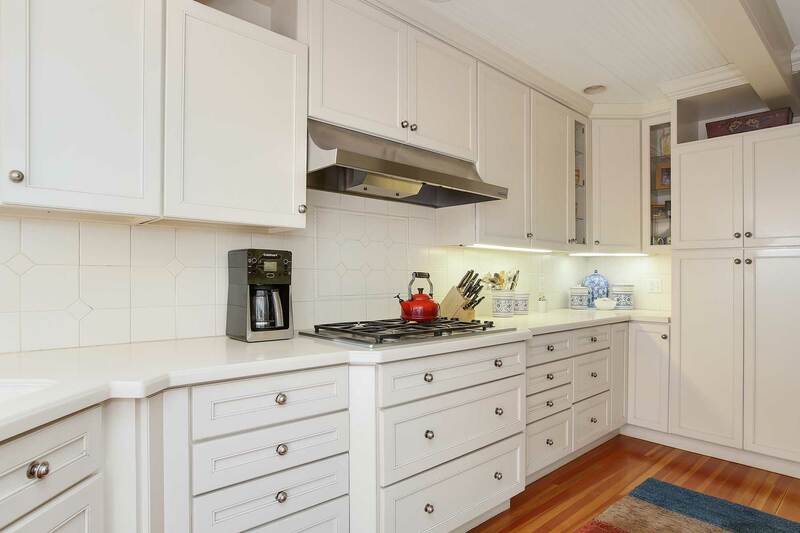 Gourmet kitchen with French country style cabinets, Corian counter, glass tile backsplash, built-in butler pantry, under cabinet lighting, and large kitchen island great for entertaining and today’s chefs. 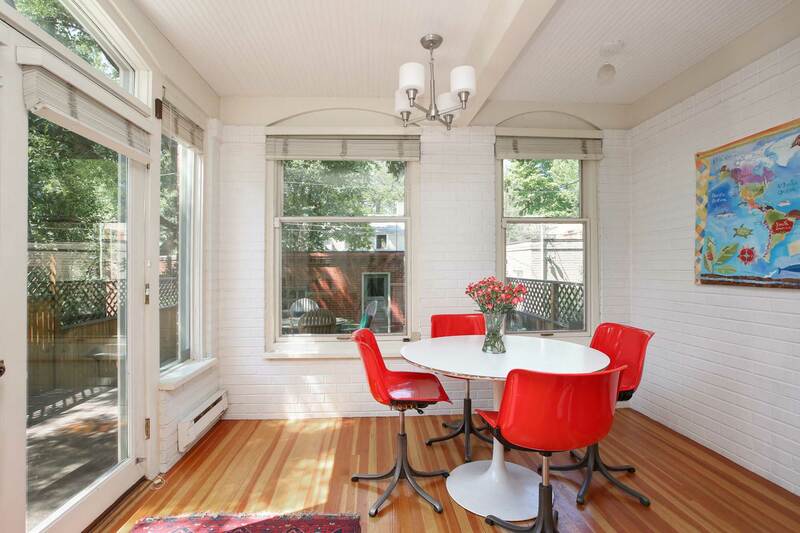 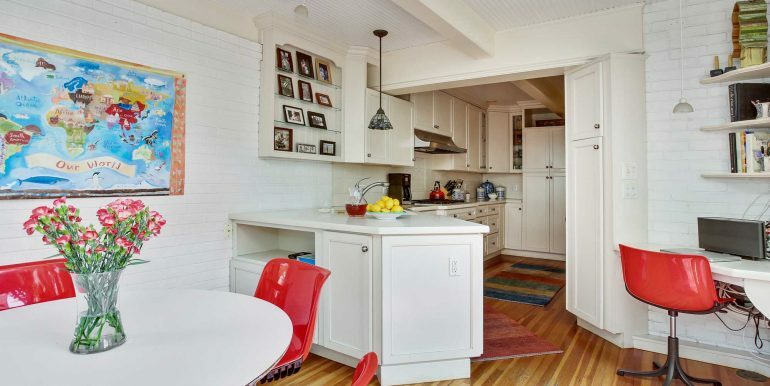 Large kitchen dining nook great for family dinners. 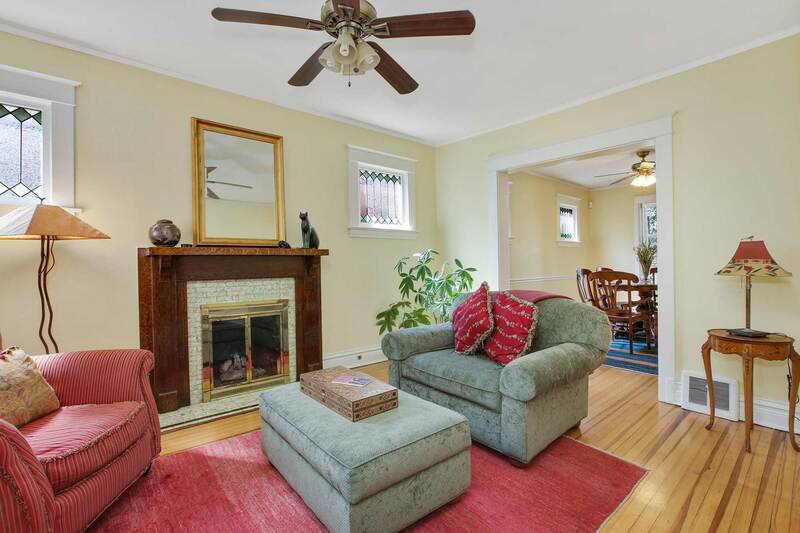 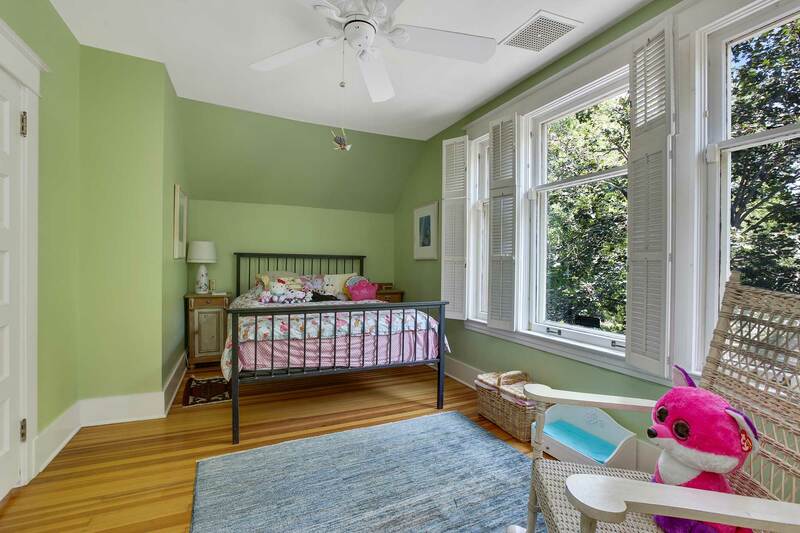 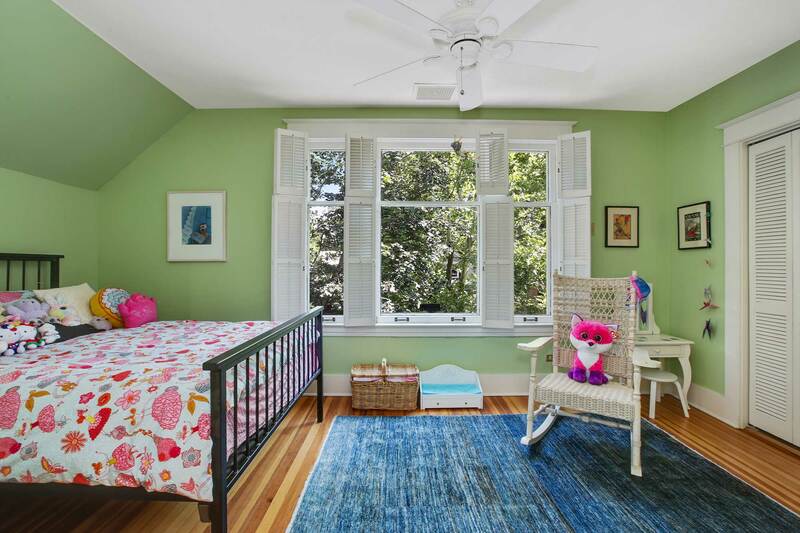 Main floor features cozy living room with fireplace, formal dining room (or media room depending on one’s preference), original Douglas Fir floors, original windows, remodeled powder room with exposed brick, custom cabinetry and vessel sink. 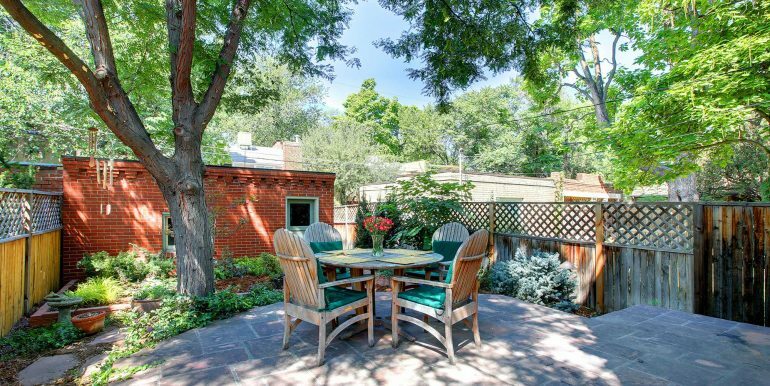 Professionally landscaped backyard is very private and relaxing featuring a large flagstone patio, mature shade trees and raised flagstone planters – a secret garden in the city! 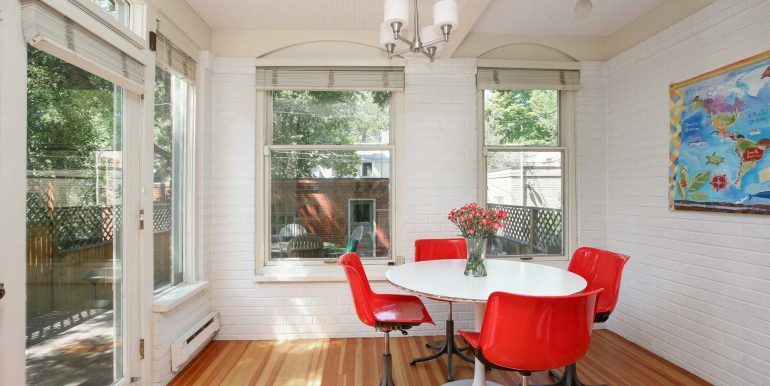 Perfect for morning coffee or summer and fall dinners. 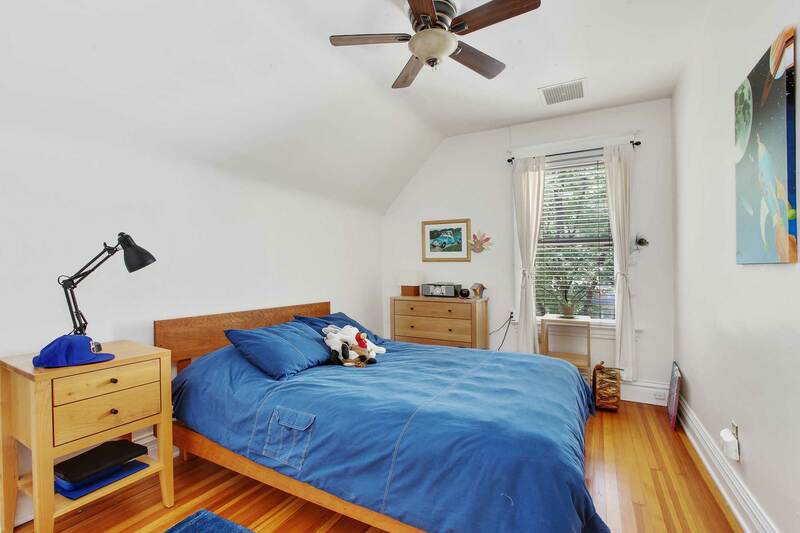 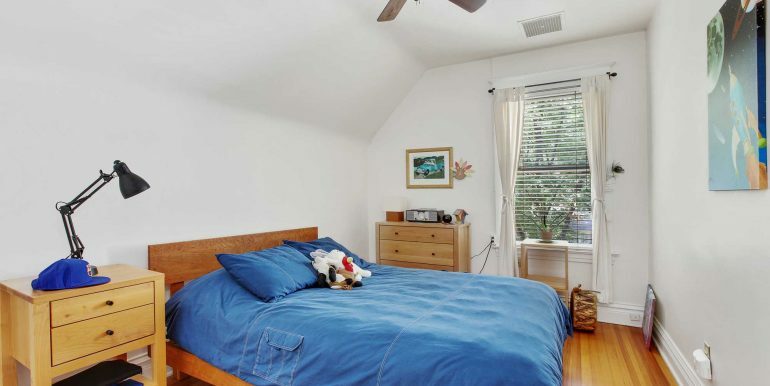 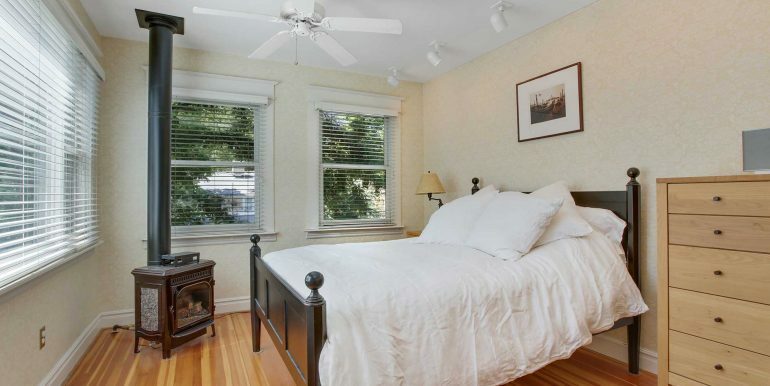 Large master suite with great light can easily accommodate king size bed with abundance of closet space. 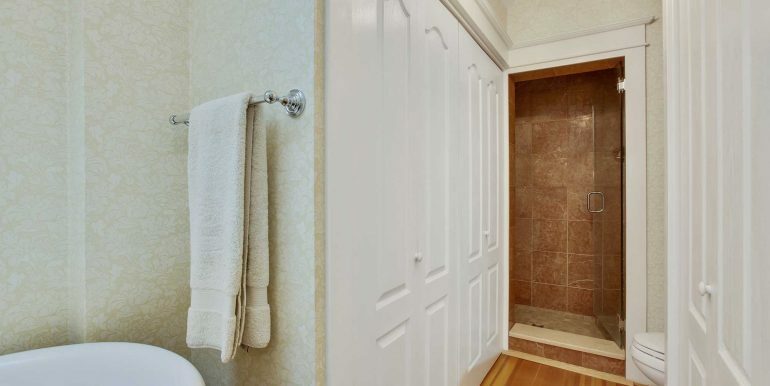 Marble enclosed shower with 3/8 glass shower door. 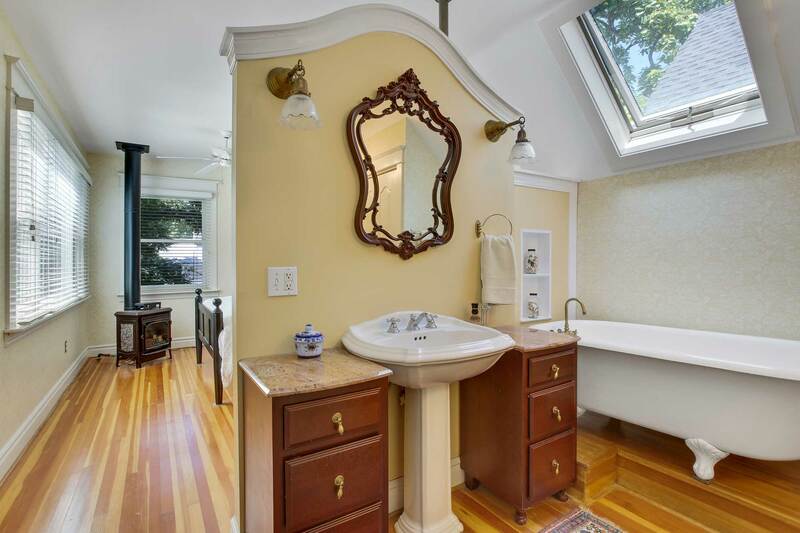 Hans Grohe and Kohler fixtures. 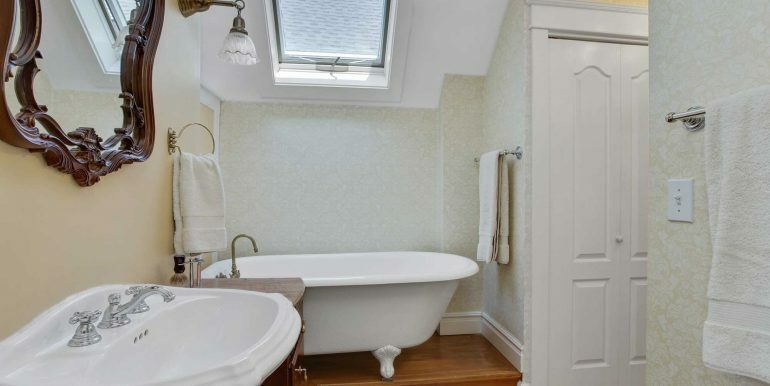 Vintage cast iron bathtub. 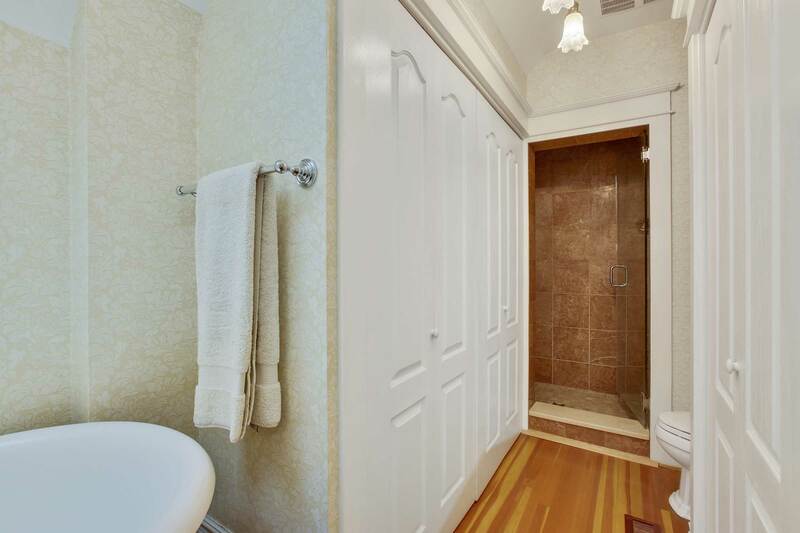 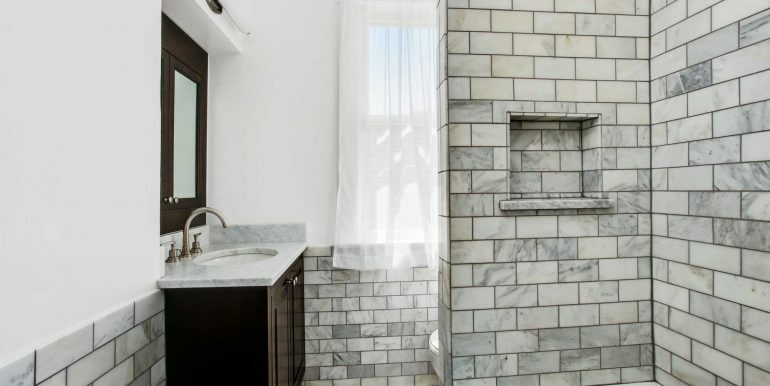 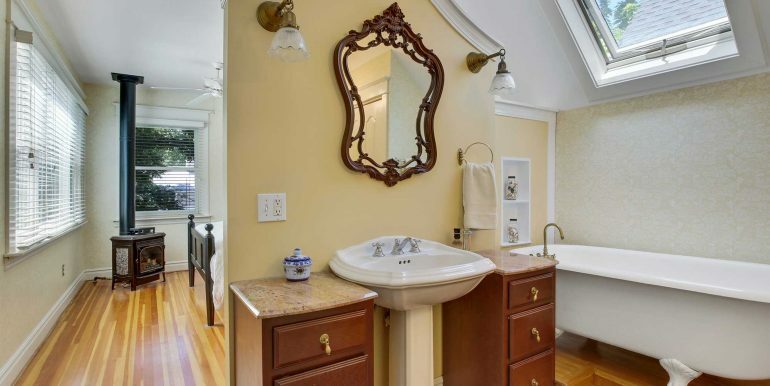 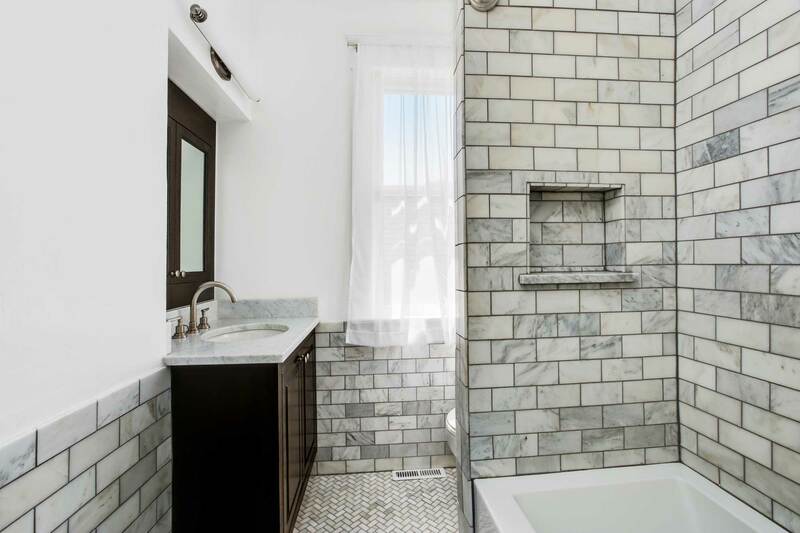 Upstairs includes second and third bedroom with newly remodeled marble bathroom, custom vanity, Kohler fixtures. 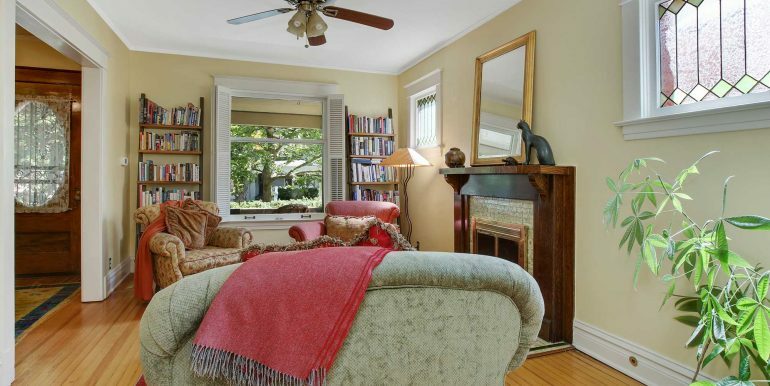 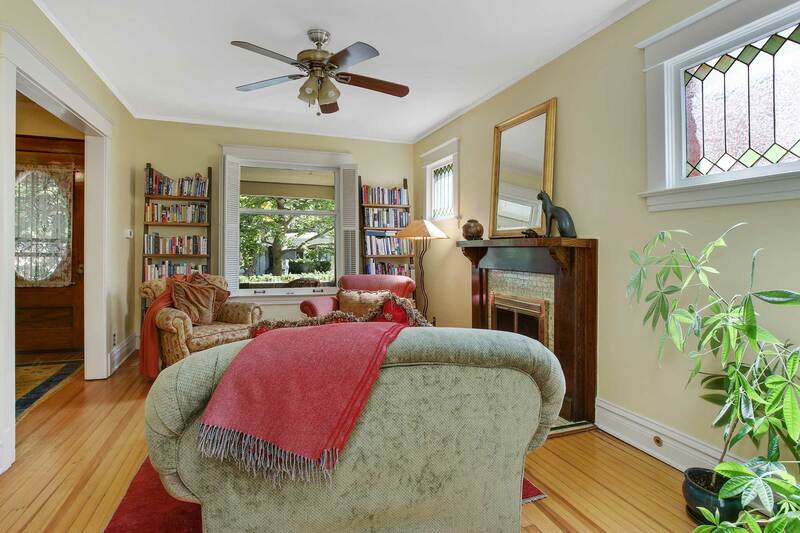 The basement features cozy family room with gas equipped fireplace and built-in book shelves. 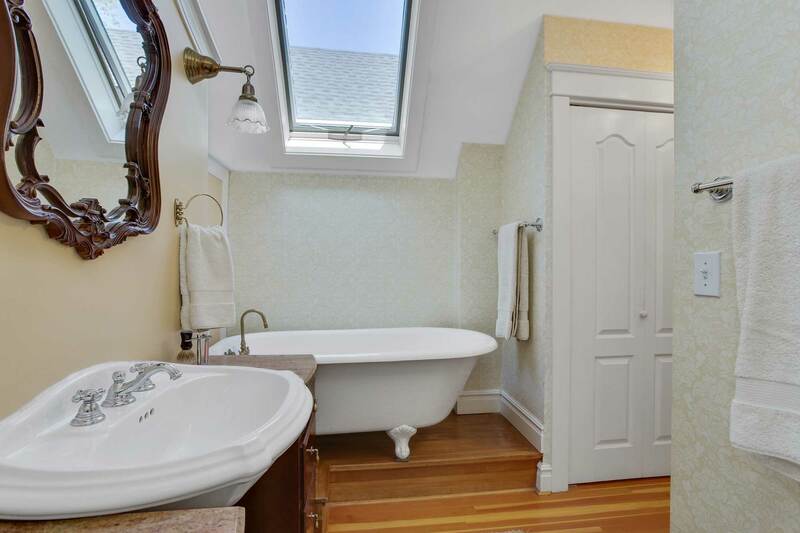 Lots of basement storage and huge laundry room. 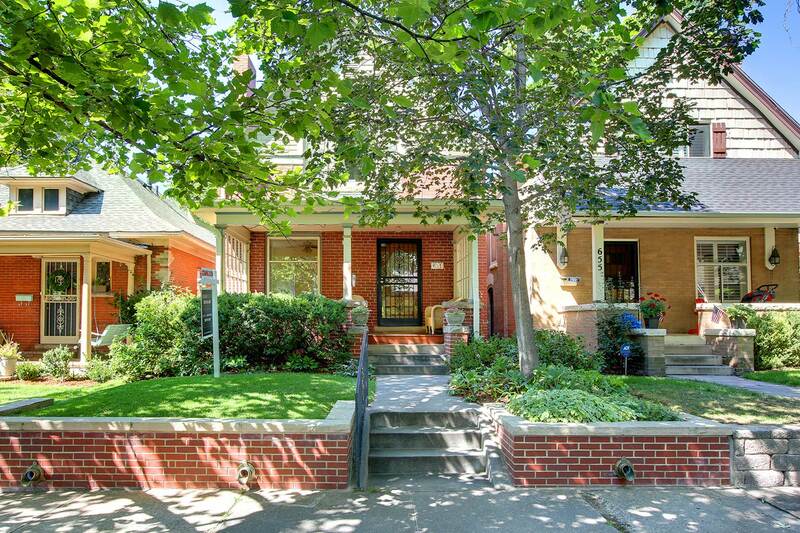 Detached brick 2 car garage. 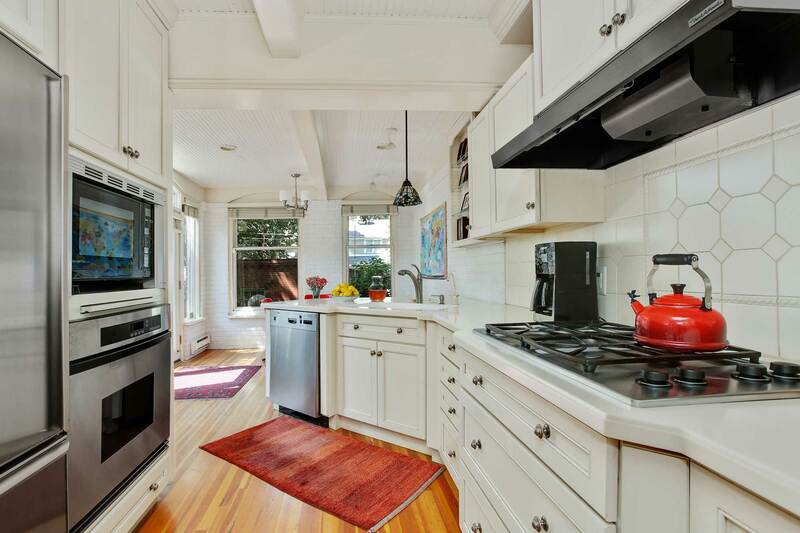 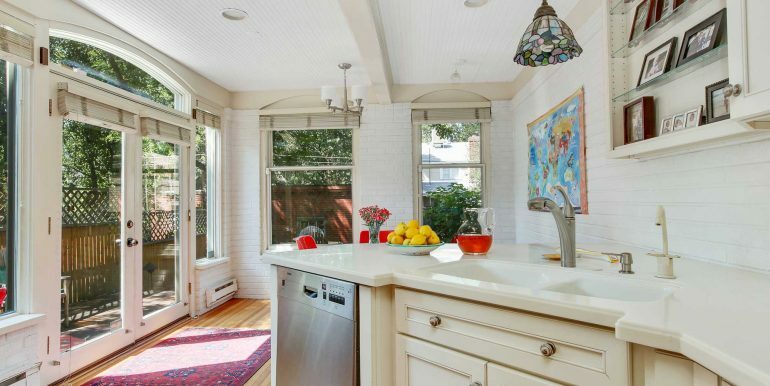 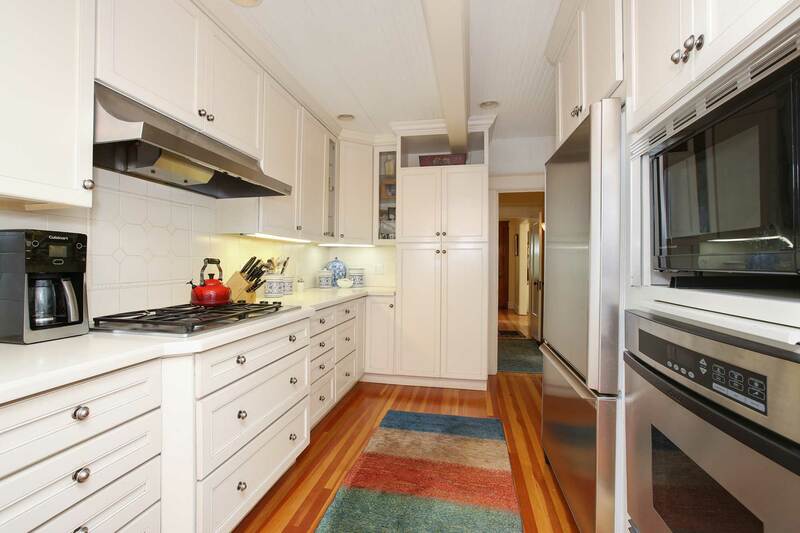 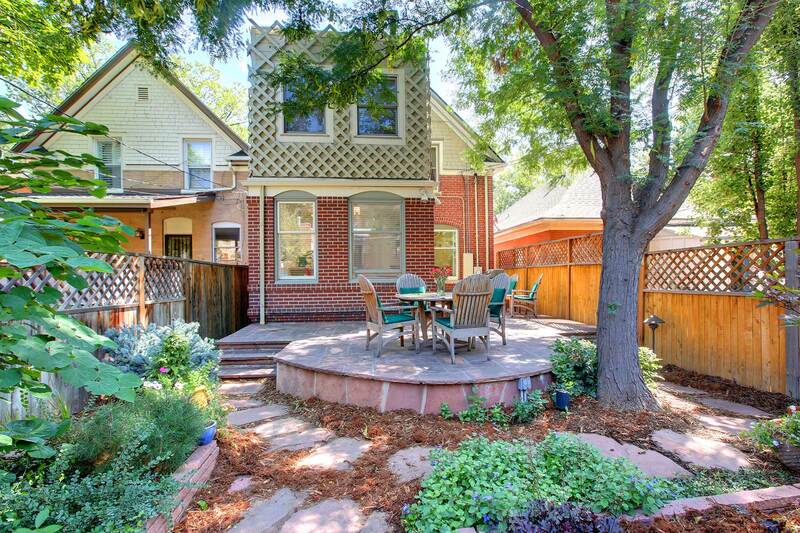 Unbelievable location and neighborhood with tons of character! 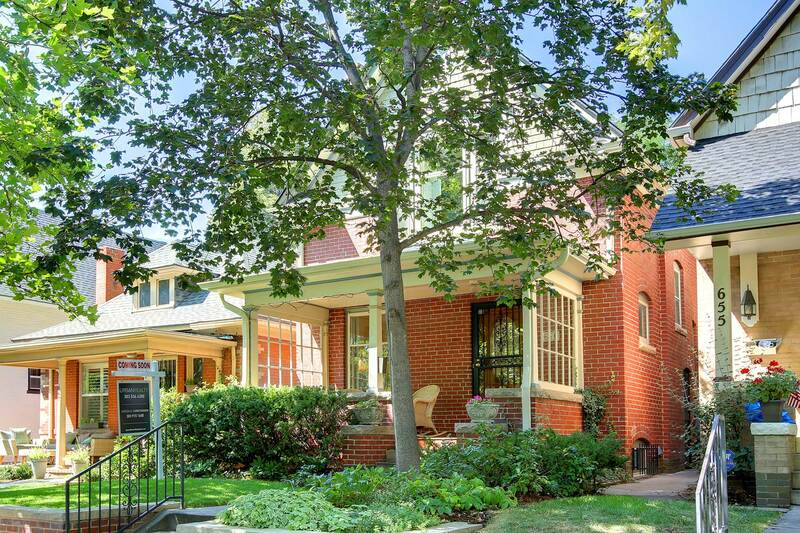 3 houses from Little Cheesman Park. 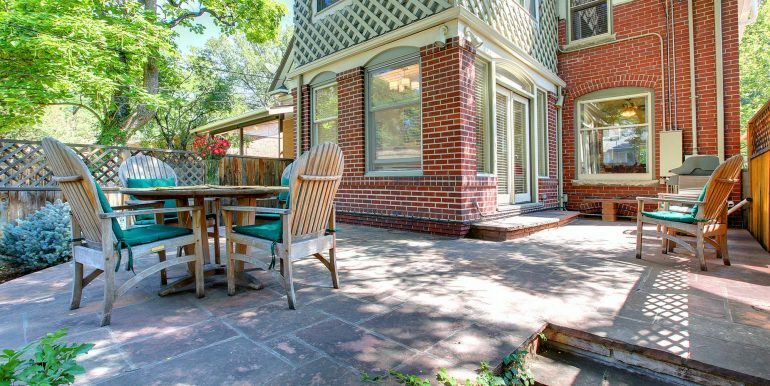 2 minutes walk to Novo coffee and Satchel’s on 6th bistro. 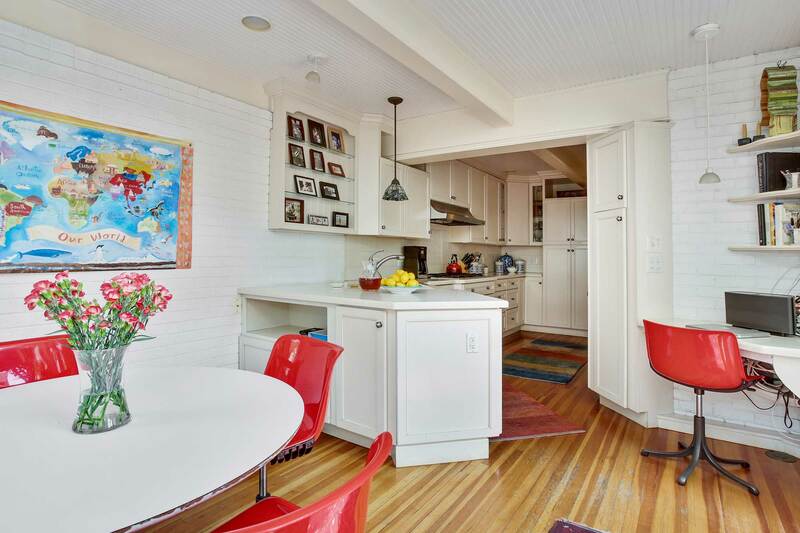 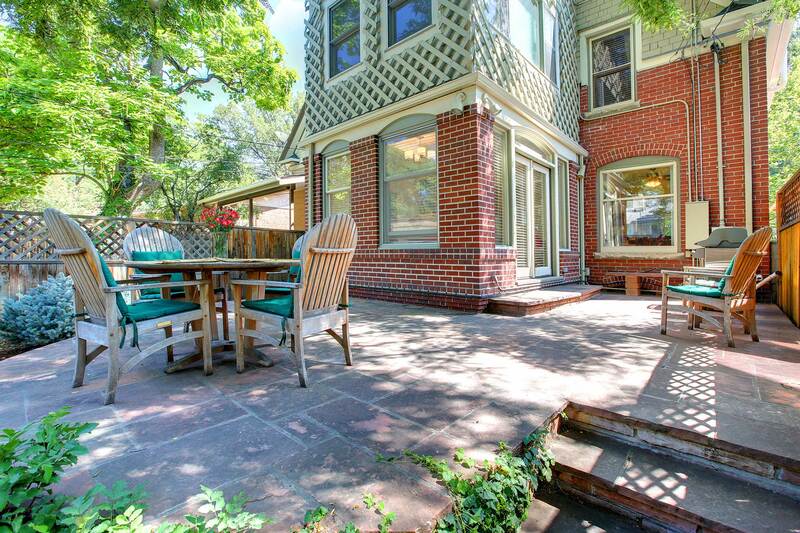 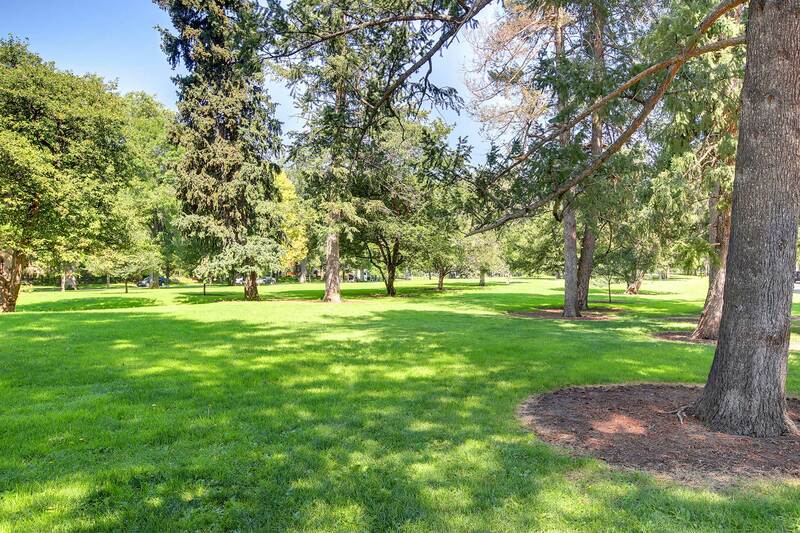 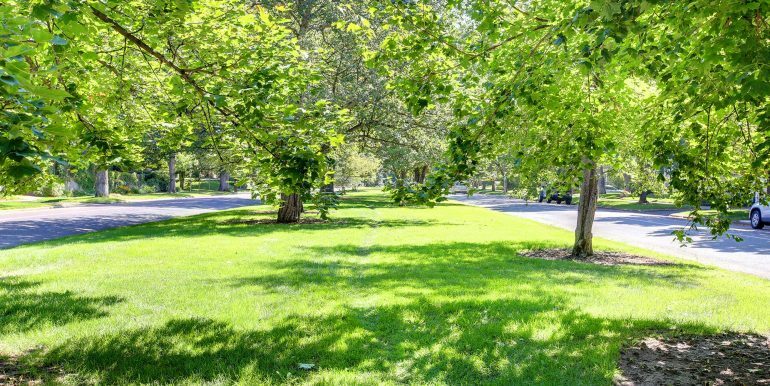 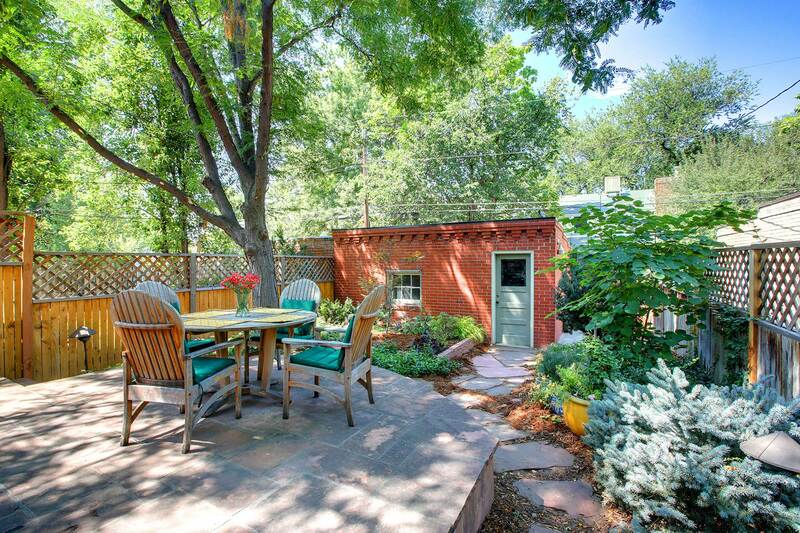 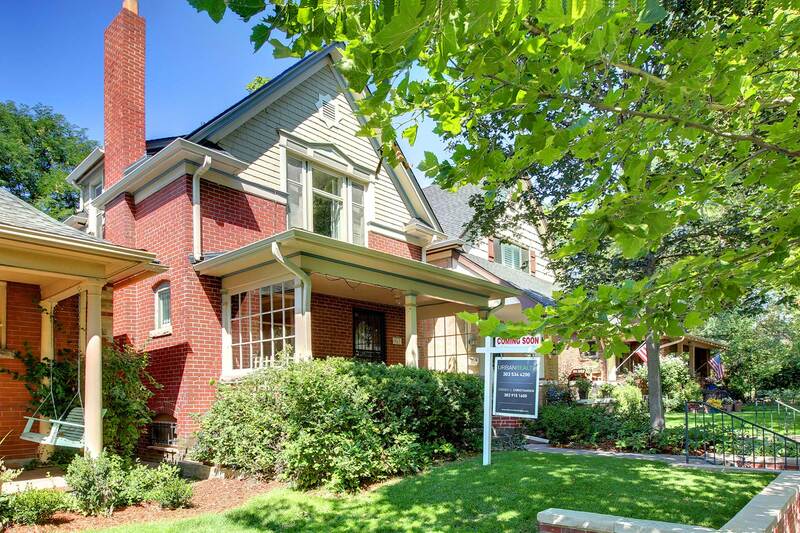 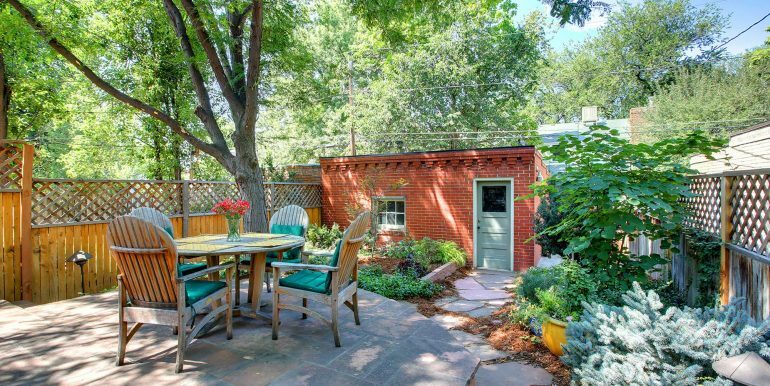 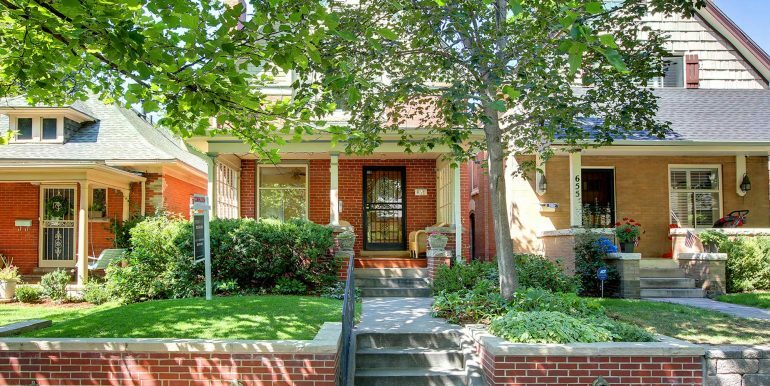 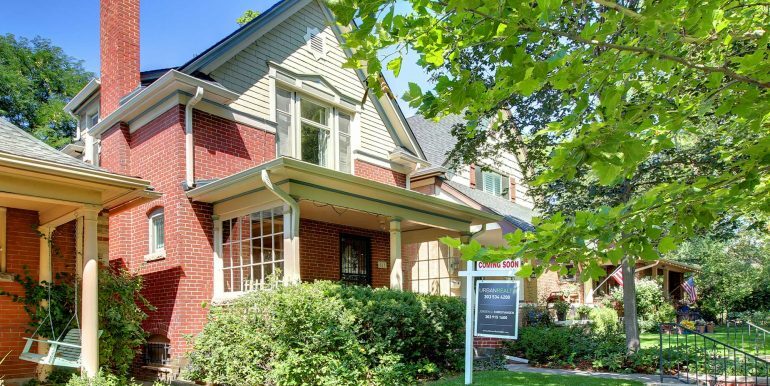 2 minutes walk to Cheesman Park and Denver Botanic Gardens. 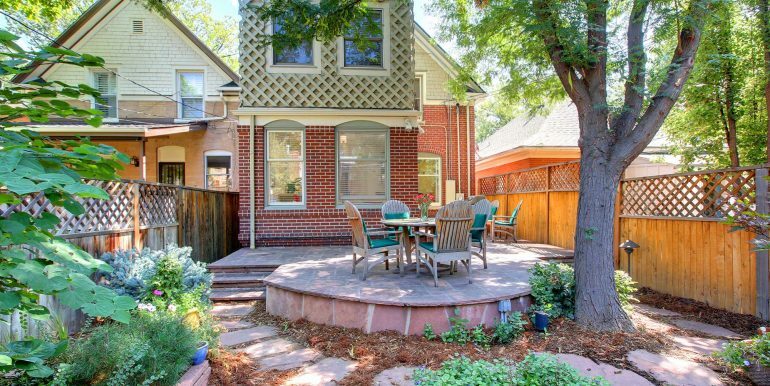 3 min drive to Cherry Creek. 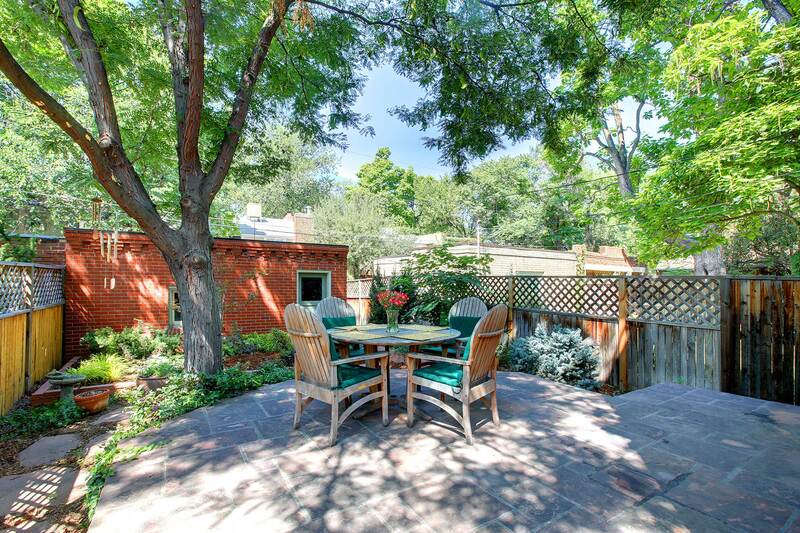 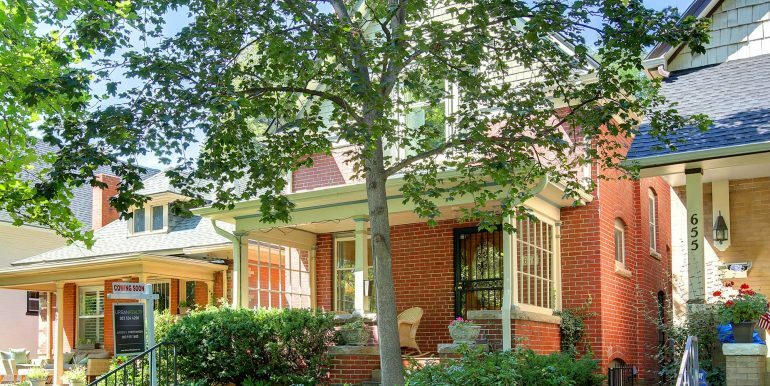 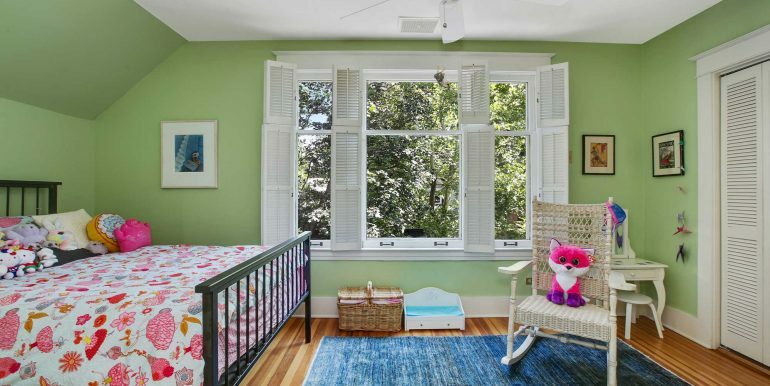 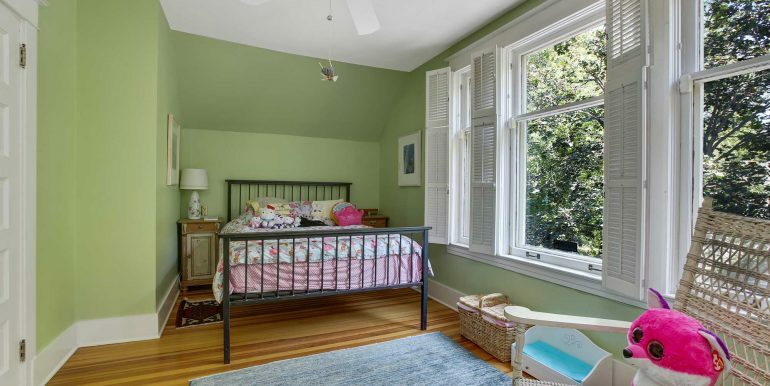 Quiet tree lined street with great neighbors perfect for families and empty nesters alike! 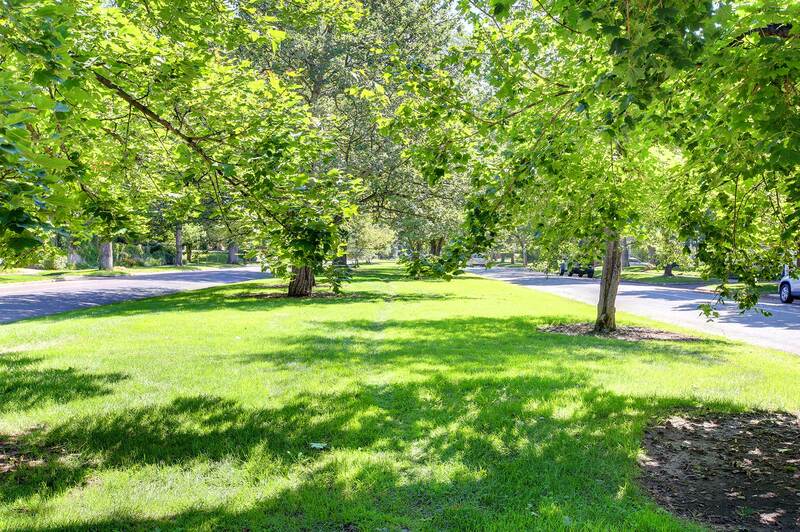 Begin and end your day with a peaceful stroll along 7th Avenue. 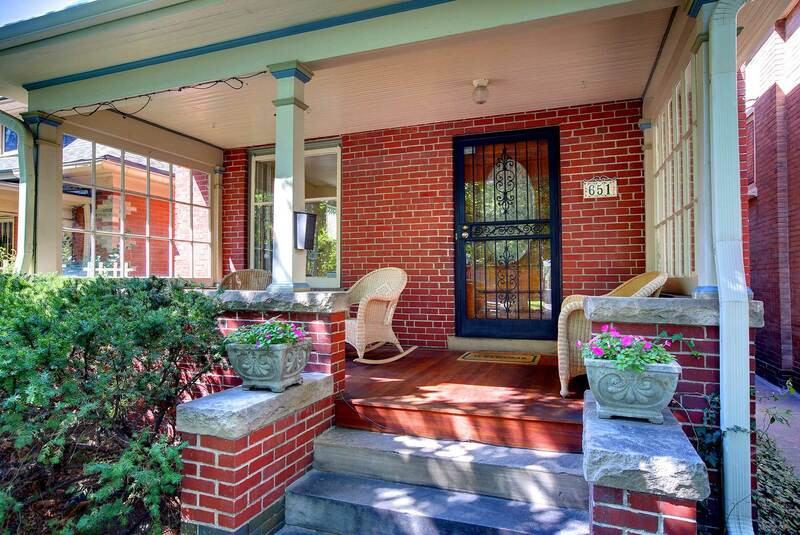 New class 4 hail resistant roof installed in 2016, new Lennox furnace 2014, new water heater 2013, new porch 2012. 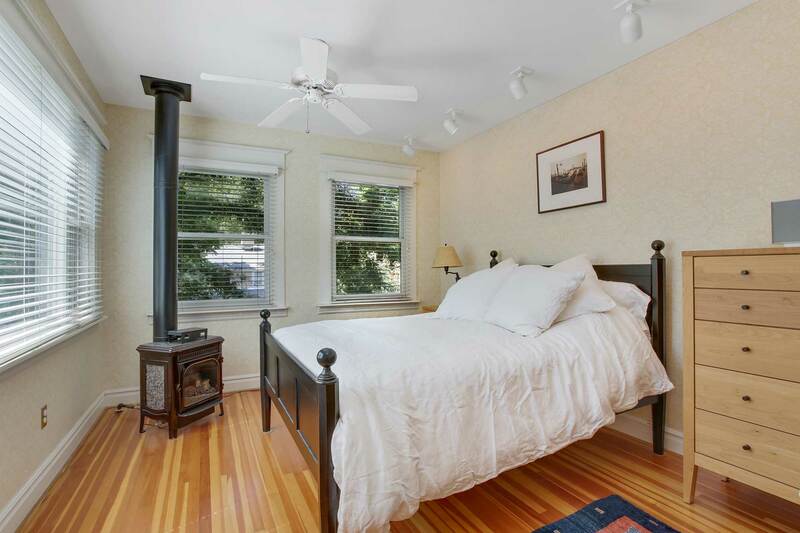 High end evaporative cooler with pre-cooler unit attached is very cool and comfortable. 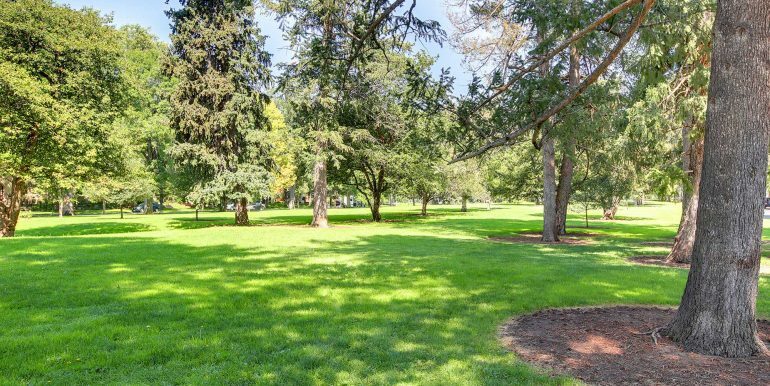 New sewer line in 2007. 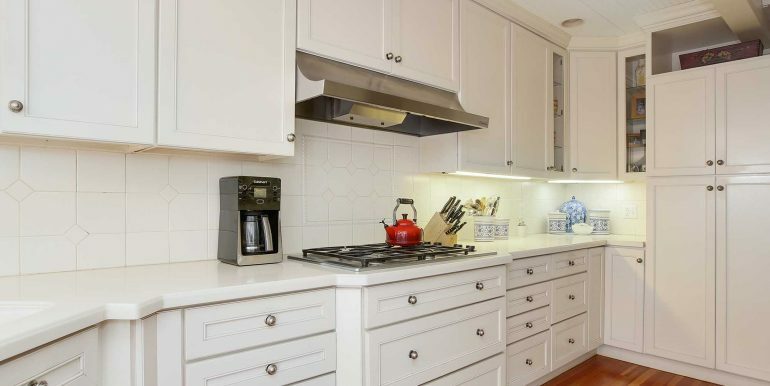 Lots of upgrades and high end finishes. 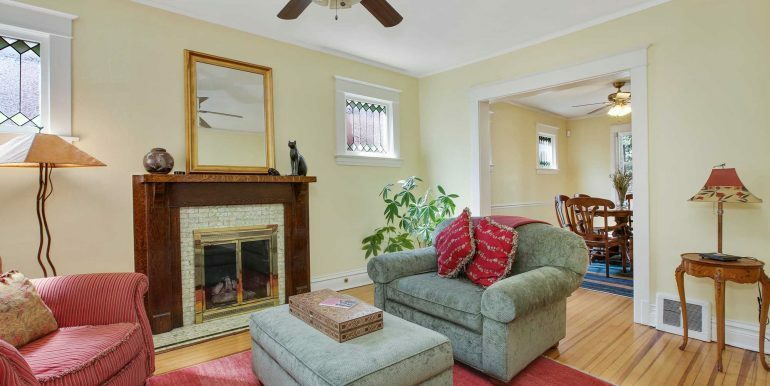 Well loved and cared for by current homeowners.